The Global Health & Innovation Conference is the world’s largest global health conference and social entrepreneurship conference. This must-attend, thought-leading conference annually convenes 2,200 leaders, changemakers, students, and professionals from all fields of global health, international development, and social entrepreneurship. Register during July to secure the lowest registration rate. Interested in presenting at the conference? Submit an abstract for consideration. Jessica Cohen, PhD, Assistant Professor of Global Health, Harvard School of Public Health; Non-Resident Fellow, Brookings Institution; Faculty Affiliate, Harvard Center for International Development; Malaria Technical Adviser, Clinton Health Access Initiative; Co-Founder, TAMTAM Africa, Inc.
“Wake Up. Go to Work. Save the World.” Arran Stephens, President and Founder, Nature’s Path Foods, Inc. 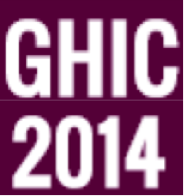 Complete conference details can be seen on the 2014 Global Health & Innovation Conference website. You and your colleagues may be interested in attending or presenting at the Global Health & Innovation Conference at Yale. For those interested in presenting at the conference, we are currently accepting abstracts for presentation, and the first abstract deadline isAugust 31. We would also appreciate it if you could please forward this announcement to others who may be interested in attending or presenting. The registration rate increases after July 31. We are a healthcare service provider with close to 300000 underprivileged women and their families registered in our programme.we operate in the southern states of India,and have provided cashless medical and surgical services to close to 20000 families in the past 3 years.The programme is entirely technology driven and is managed and run by qualified surgeons and engineers.we have presented our model at numerous international health care innovation and social innovation conferences.Our model is easily replicable and highly scalable in any part of the world.it would be an honour for us to present the model at your conference..regards.